Start the Fall with a New Job! WORKERS WANTED... Are you ready to roll up your sleeves and get busy? 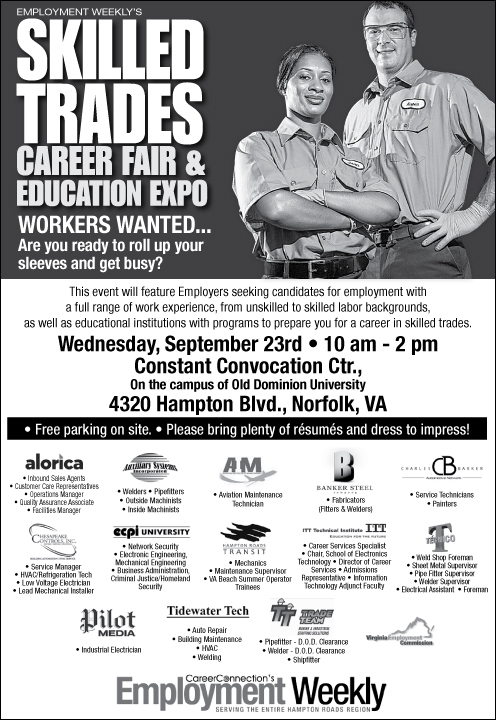 This event will feature Employers seeking candidates for employment with a full range of work experience, from unskilled to skilled labor backgrounds, as well as educational institutions with programs to prepare you for a career in skilled trades. Free parking on site. Please bring plenty of resumes and dress to impress!